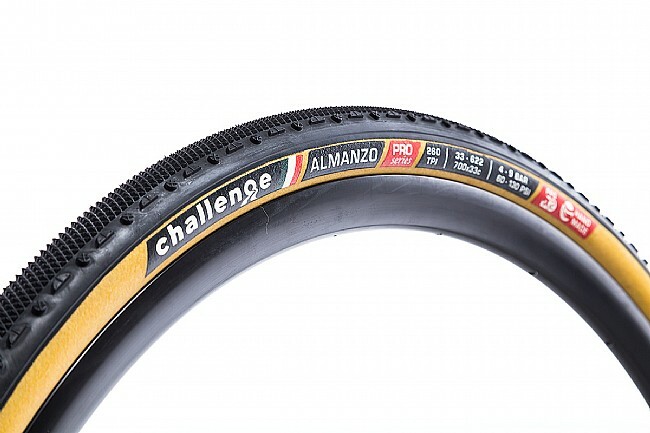 The Challenge Almanzo Pro Tire is named after the Almanzo 100 gravel race in Minnesota, making this a heavyweight all-terrain tire for use with road bikes. 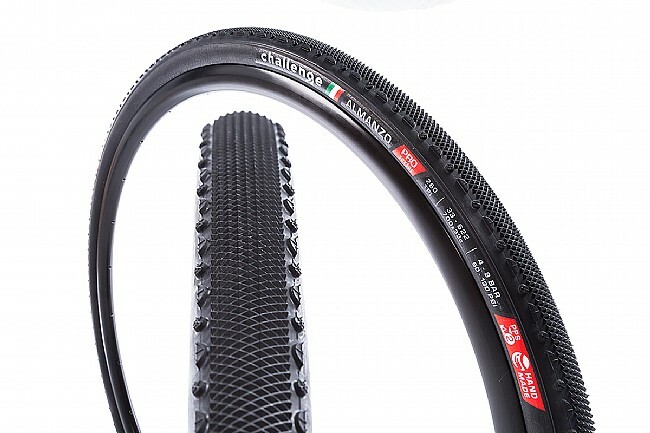 The Almanzo was designed specifically for gravel racing, featuring a file tread pattern that provides excellent grip with a wider, more forgiving profile for those bumpy roads. 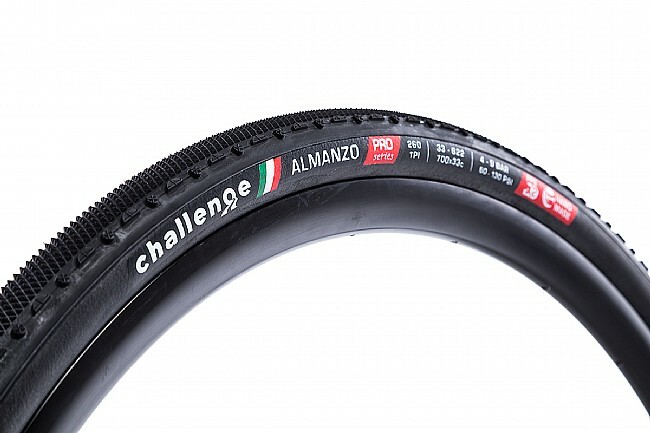 Each Almanzo Pro tire features Challenge's double puncture protection, offering the highest level of protection from slashes, tears, or other types of punctures. Sidewall options: Black or Black/Tan.